Download this reference for an overview of the agricultural commodities sector. From the bread on your dinner table to the everyday products that we all use, grain and oilseed futures are an integral part of everyday life. By understanding the fundamentals of the grain and oilseed futures products, traders can leverage better methods of price discovery and risk management. RCG’s Introduction to Grain & Oilseed Futures highlights key futures insight to help you become a more informed trader in the futures markets. 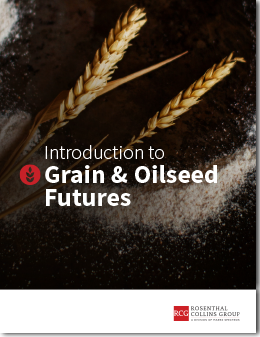 Sign up to get your FREE download of RCG’s Introduction to Grain and Oilseed Futures Guide.